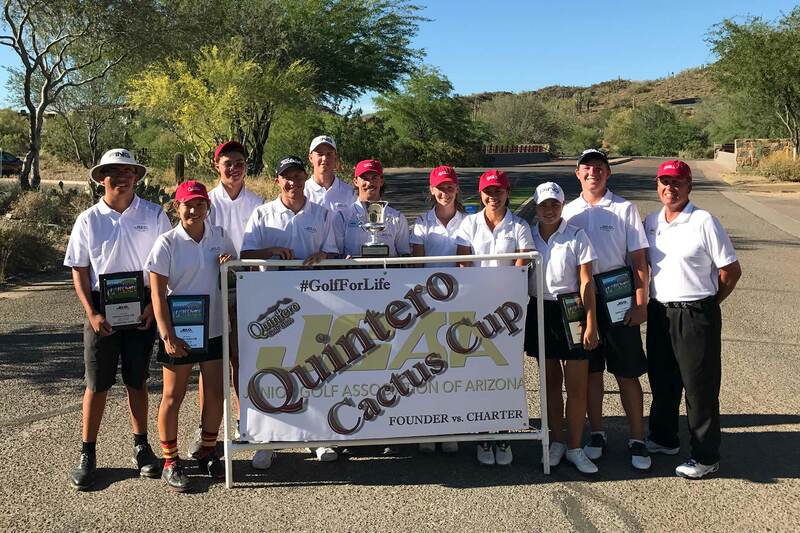 On April 29-30, 2017 Quintero Cactus Cup was held at Quintero Golf Club. The Founders team won for the 3rd year in row, beating the Charter team 11-9. 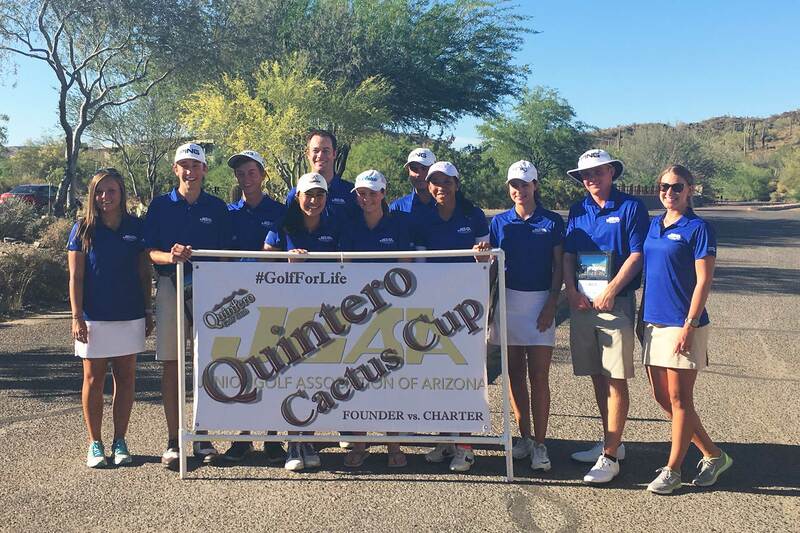 The team match play event consisted of 36 holes on Saturday and 18 Holes on Sunday. The two teams, Founder and Charter were comprised of five boys and four girls who were paired by their respective captains. After the Saturday morning Foursome Matches and afternoon FourBall Matches, the Founders team had a lead of 7-3 going into the Sunday Singles Matches. The Charter team would not go away without a fight, as they battled hard to make the competition close. Although the Charter team won 6 of the 10 points in the Singles Matches, it still wasn’t enough. The Founders Team, led by captains Frank Krivas and Chris Felix, won the 17th annual competition 11-9.